I'm new to this endeavor and growing in general. I have read the HOW TO Thread day in and day out for the past month and there is still much I need to learn. I got my seeds from Herbie's. Now on to my grow. Any Pests ? None yet. Trying to get some images uploaded but this is a lil more difficult than i thought. 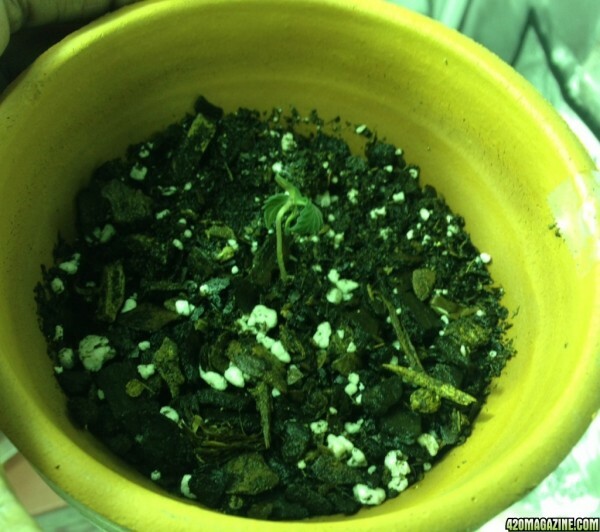 Check out The Bagseed mystery Grow!!! I started my grow on 8-21. These pics are from 8-23/8-24. 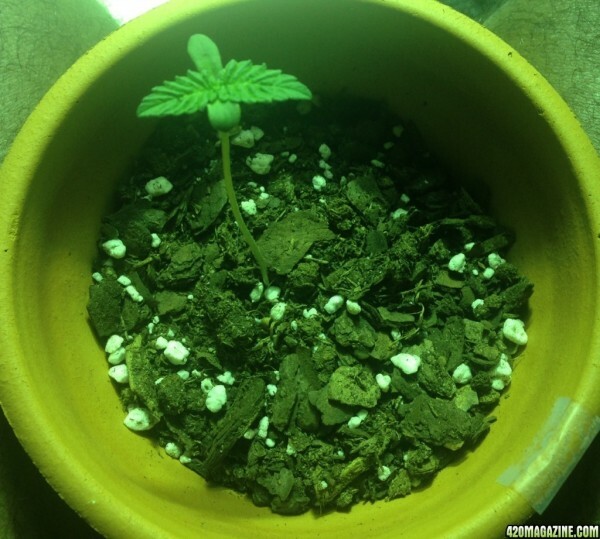 Ok this photo is my Critical seedling trying to get her seedocat off, had a little trouble a few days back, currently seed is off and she is doing good, but i was def a tad bit worried bcuz she was following the light source but seed coat would not come off. I finally got off by "googling" it and found out to just mist the seed coat and gently push it off. It worked great for me. This was my white Widow trying to break the surface. She has since done so. All is good now too. BBWW on 8-25. As you guys can see so far so good. Just a little on the small side IMO, but again im comparing to my other plant. No other prior reference. Critical on 8-25. 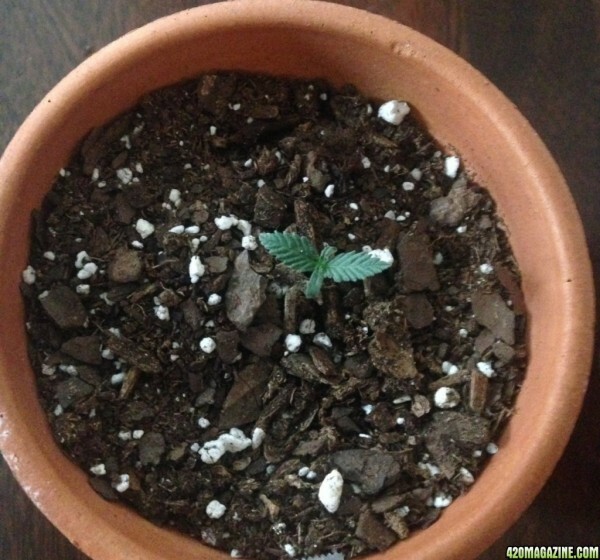 She grows a bit quicker for an Indica but so far once she broke out of the seedcoat she took off for the races. lol. 8-31. I had let the girls go on a WET/DRY spell. From the pics she started to lean pretty bad, she also did a lot of stretching when she was under a CFL, she is now under the MH and hasn't stretched since. 8-31. BBWW Same WET/DRY period and she took it pretty bad, as you can she is on her side pretty bad. I watered her she returned back to normal later that night but I was pretty nervous, she was still very green just limp. 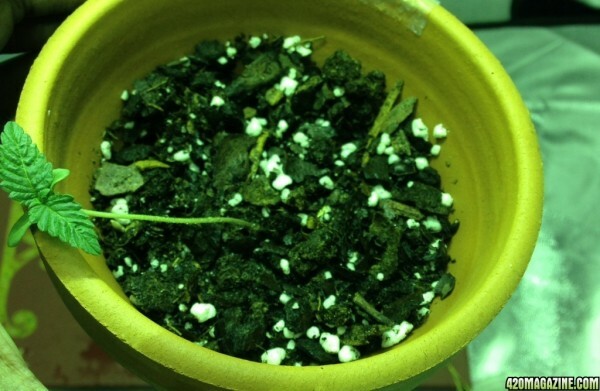 I added more soil to the pot and kinda used the soil to prop up her true leaves and cotyledons. Don't know if it helped but she has since perked up and i would say grew a little bit since I did this. My concern is that BBWW has been growing the same amt of time as the critical but did not grow as much. Not sure if it is something I am doing. I haven't started with nutes yet. Just plain tap water which I tested for Ph. Ph was 7, i tested it 2x. I will however be starting nutes this upcoming Wednesday. The girls were watered yesterday. So I will let them dry out a bit before I get going with my nutes. I have nutes set in another container ready to go, nutes were also Ph tested, they are between 6.0-6.5. 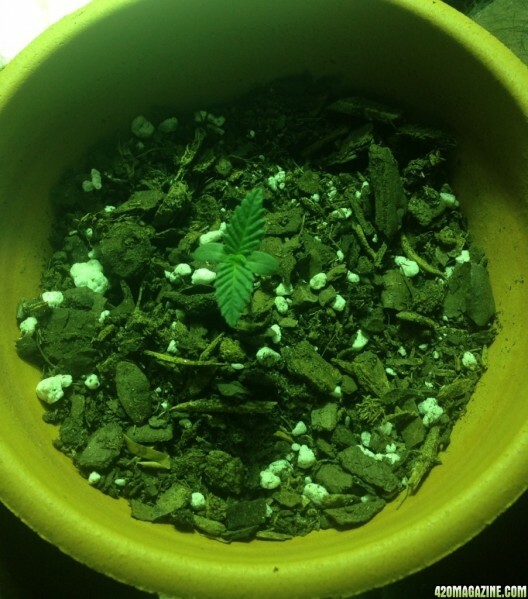 If anyone can help me with the BBWW or any tips I would appreciate it, I am def open to learning new grow tips/suggestions guys. Thx for the welcome. I have added some pics about my grow. I def look fwd to gaining knowledge to help get the best harvest I can as a noob. This pic is from today of BBWW, not sure how she is doing, she is pretty green, leaves have gotten better and are back to pointing up towards the light. 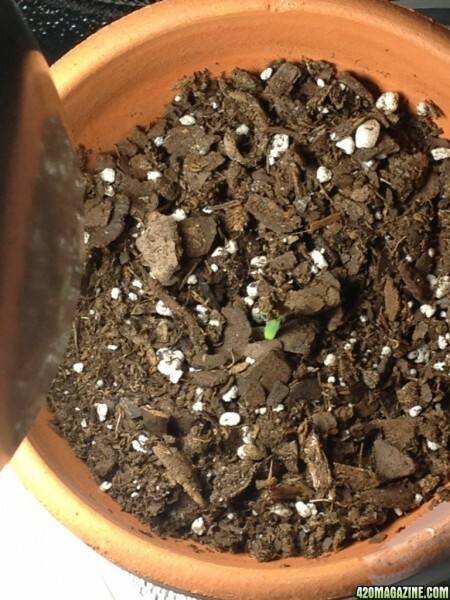 The problem is one of the cotyledon leaves has shriveled and looks like it is about to die. Not sure if it can be seen in the pic, if anyone has any suggestions on what to do I would really be open to suggestions. Of the 2 I really want this one to flourish. This is critical, nothing to report she is doing really good her leaves even got bigger less than 2hrs after she was watered. 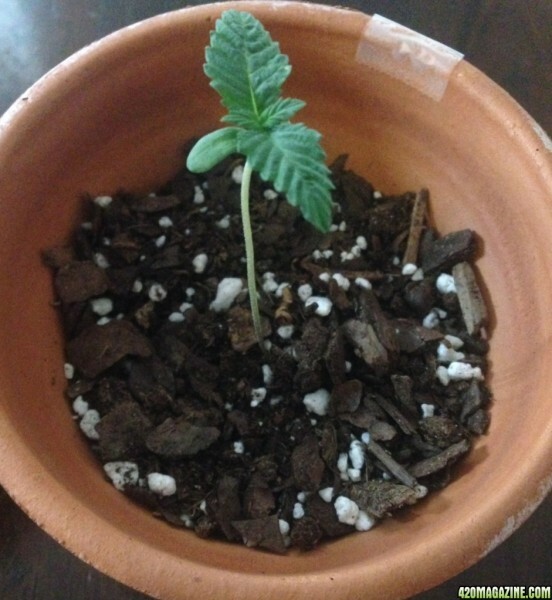 Does anyone think i should add more soil to the pot, also I read i should transplant her when i see the roots starting to come out the bottom of the pot. Nice looking plants yo, My grow is in about the same stage as yours so we can def follow each other throughout(link is in the signature) what did you mean by dry spell? 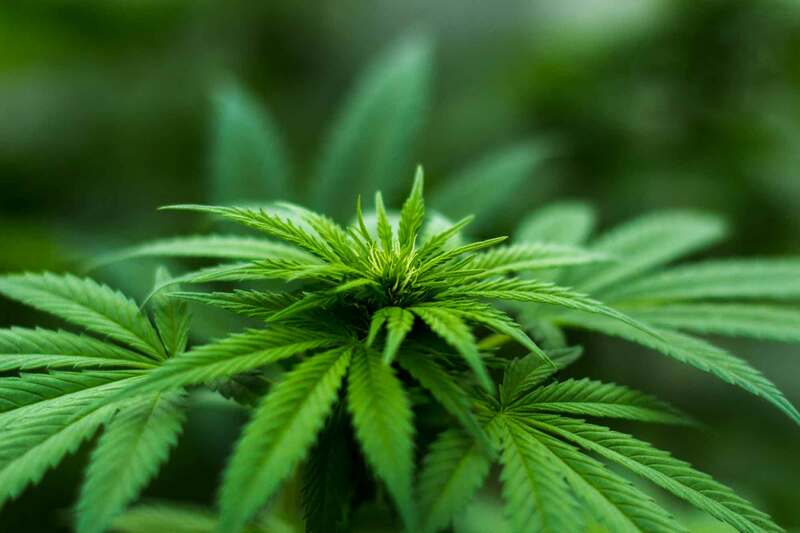 you should only need to water when pot is dry hope this helps! positive vibrations friend! 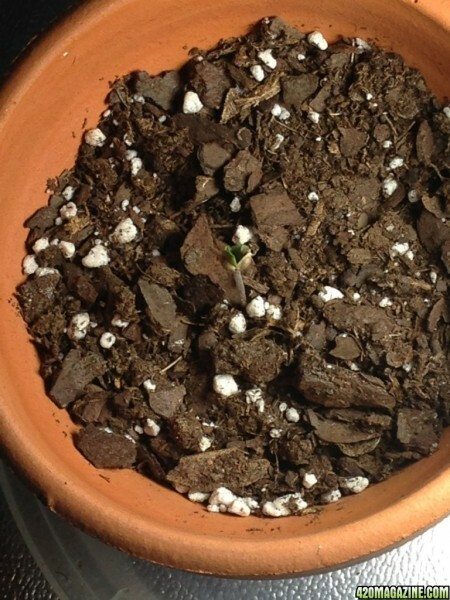 Def i checked out your grow, you were right we are pretty much at the same stage lol. I will follow yours, u also have wayyy more plants than me lol. As for the dry spell, I read on here that at some point a "dry spell" would help max root growth. I usually water every 3 days, but for this dry spell I went to 4. I learned the girls only like a 3 day max, a 4th would be pushing it and adding unnecessary stress on them. I would water when the pot was light and I was also sticking my finger in about the 2nd knuckle deep. Any experienced growers out there care to lend some advice? qwik update, BBWW not doing great. Cotyledon leaves are dying. Don't kno if this image helps. I'm uploading from my phone. Again I think she got heat stressed but she not bouncing back yet, and she is still very stunted compared to my critical plant. Speaking of critical I'm pretty excited she will start her first dose of nutes today at half strength. The plant seems pretty resilient, don't think I should see any problems. I will post pics later today before feeding and some tomorrow post feeding. Hey Chill. Great start! I'm subbed. Good luck with your grow!!! Just a quick update of my critical plant. She is doing good, everything is good, this was before i gave her her first dose of nutes. So far so good hopefully she continues this way, since my widow is alive but stunted. I have been flushing the widow with water, i think she may have an acidic environment. Hopefully since she is still green she can make it to the next watering. This is the Critcal taken a couple minutes ago. Seems like she likes the nutes. i did them at half the dose, i meant to do a qtr. of the dose but luckily she is held pretty good. 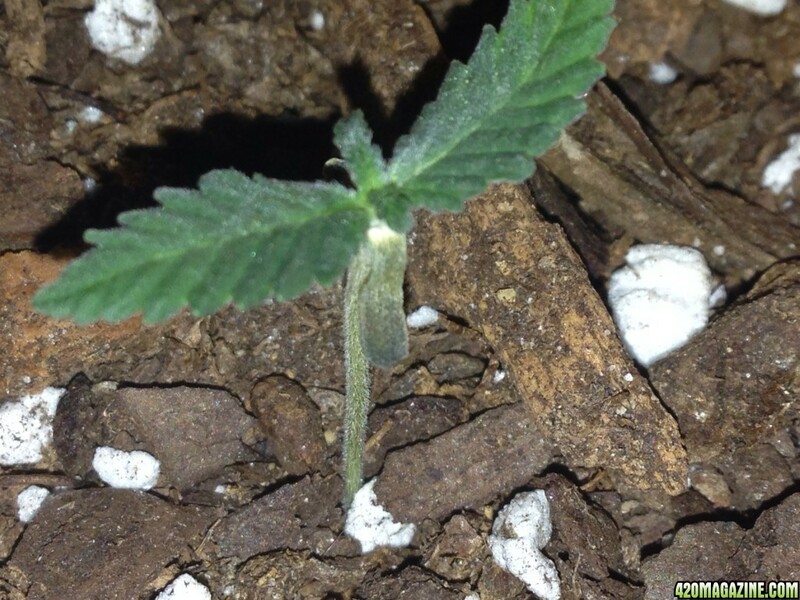 She did get some very small spots of nute burn on her leaves but I read since it is the first feeding of nutes the plant may react this way. I think the small spot isn't that bad, my next watering is on Saturday. Straight water no nutes until next Tuesday where I will up the dose maybe 75% instead of the full 100%. Great start. Instead of a watering schedule, Try to only water when they feel dry. Its best to get those roots searching for water so they grow bigger for you! Thx for subscribing and the sharing some knowledge with a noob. I try to do this but I have watched my critical plant every 3 days she gets pretty dry past the 2nd knuckle. I have ritually let her go to 4 days before watering too and she started to wilt. So Btwn 3-4 days she runs out. But I have been trying to learn how much she weighs when watered and as she dries. But I'm def trying to learn her response to watering and nutes and lighting. Well, I think you done got it then. Great start. I can't wait to see the results!